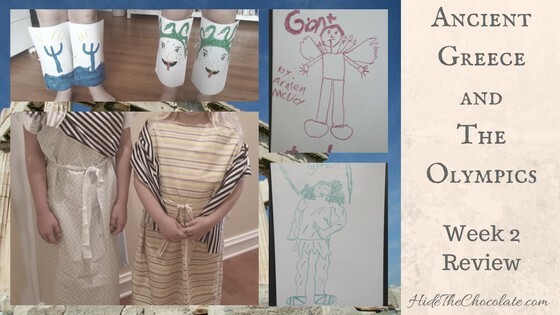 Painting pottery, building temples, acting out the Greek myths and building spreadsheets for Olympic results are just some of the activities we worked on in week three of our Ancient Greece and The Olympics Unit Study. 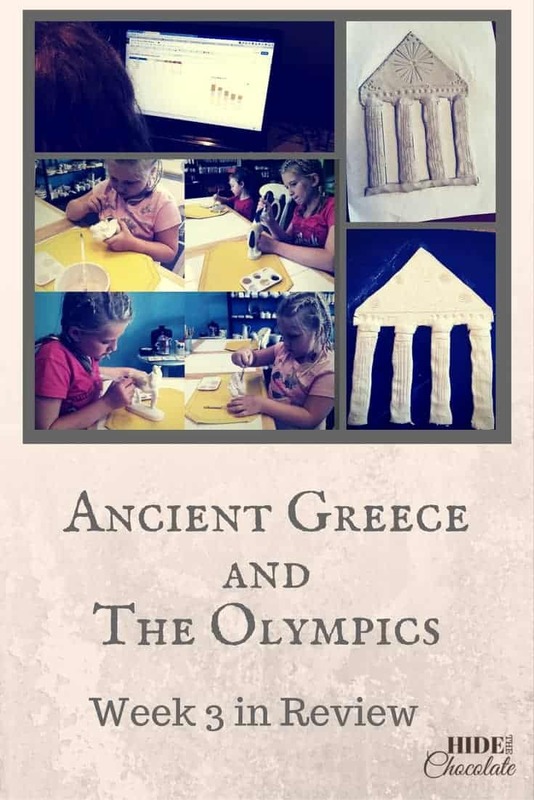 This week we studied agriculture, architecture, sculpture, pottery, the Olympic games and mythology in Usborne’s Encyclopedia of the Ancient World. This book has been a terrific spine to guide us in our studies this month. 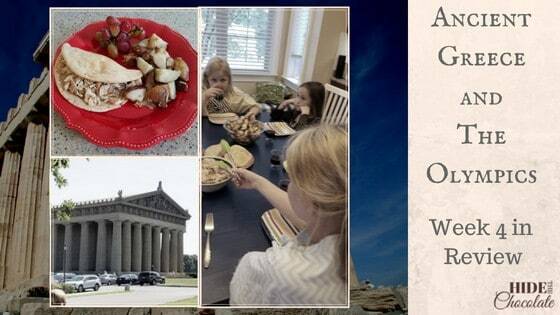 We are nearing the end of our family reading from D’Aulaire’s Book of Greek Myths and Tales of Greek History. We’ve had so much fun reading about the Greek gods that we will all be sad to finish these books. This week we added the Magic Tree House Fact Checker: Ancient Greece and the Olympics to the girls’ self-guided reading. The Greeks are known for their architecture which is still seen in buildings today. We discussed the Doric, Ionian and Corinthian styles and then made temple faces from clay. 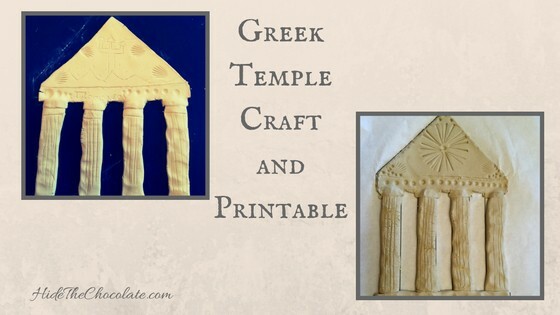 This is a fun and simple Greek Temple Craft with easy to follow directions. 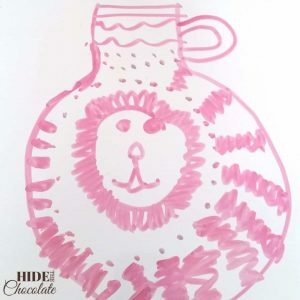 We discussed how the Greeks made pottery (and created our own lovely designs of pottery). This link from the J. Paul Getty Museum explains how the Ancient Greeks would have made the clay and then the pottery. 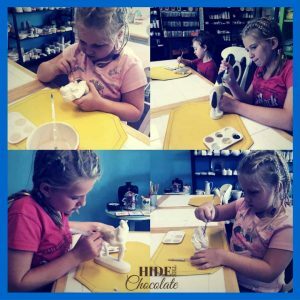 We don’t have a potter’s wheel, so we went to our local pottery painting studio and decorated some pottery. Since this was the final week of the Olympics (we’re so sad to see them go), we finished up our Olympic Online Unit Study. 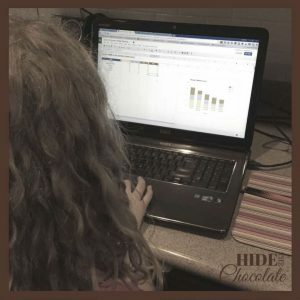 The girls learned to use spreadsheets this week with a medal counting project. To celebrate the end of the Olympics, we made winners’ wreaths. 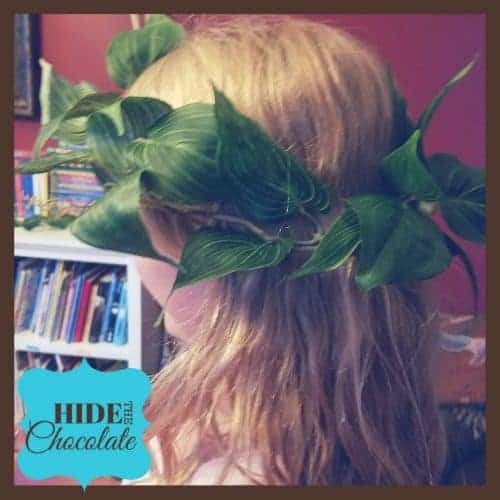 We were super busy this week, so I simply purchased some artificial greenery and wrapped it to make wreaths. The girls loved them and added their Greek costumes. Now they are preparing a skit for their dad from the ancient Greek myths. 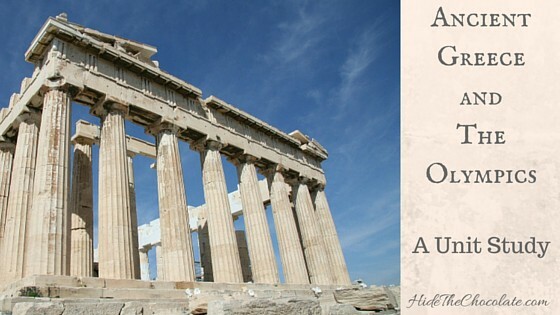 Would you like to start an Ancient Greece Unit Study? 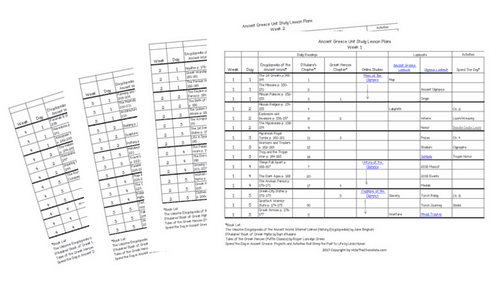 Get downloads of our lesson plans by clicking below. So fun! 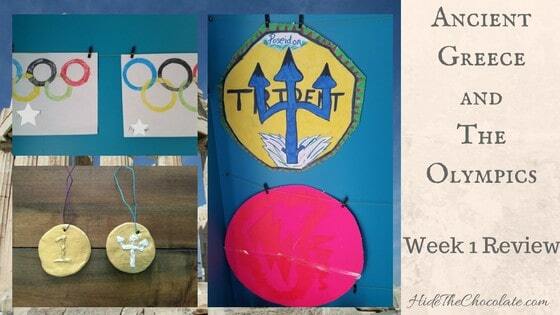 My kids loved learning about the Olympics and ancient Greece.